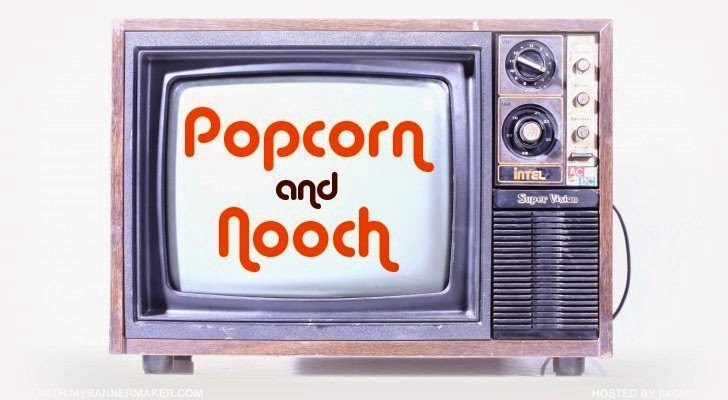 Popcorn and Nooch: Vegan Mofo - Bird in a Nest and Bodega Bay Chowder for Hitchcock's, "The Birds"
Vegan Mofo - Bird in a Nest and Bodega Bay Chowder for Hitchcock's, "The Birds"
"The Birds" is the story of a peaceful seaside town in Northern California that receives an onslaught of birds upon the arrival of Melanie, a woman who paddles her way across the bay, seeking out a fella. 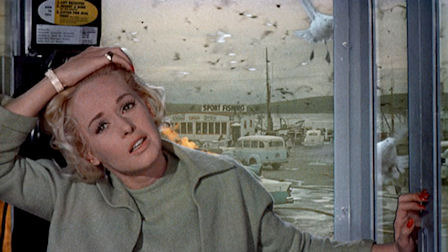 The bird attacks get worse, injuring and killing the people of Bodega Bay. An "Aflockolypse" if you will. The reason for this sudden avian wrath? Well, I would love to see this movie through a different analysis from the one I hold, because I love this movie. It's a vastly held opinion that Hitchcock is not a fan of the female of our species and it's apparent through his films. 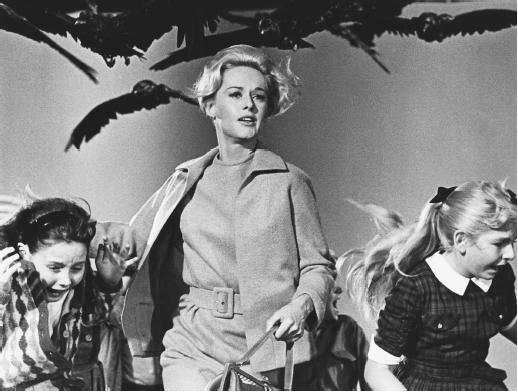 In this particular film, many believe the birds are an embodiment of women, full of rage and vengeance destroying everything around them including themselves. The movie contains three female characters "flocking" to the same man, "squabbling" with one another and "ruffling feathers." Any other interpretations? Let me know your take on it! So... on the menu! There is a little diner in the movie that I am going to imagine I own. And I am creating today's special. "Bird in a Nest" a take on the classic diner menu item, just remove the cruelty and cholesterol and you got yourself a vegan greasy spoon special. It's a nice little bayside town where I caught me some fresh sea vegetables to make my Bodega Bay Chowder on this chilly fall day. Both are Gluten Free, Enjoy! Shred potatoes with the shredder blade in the food processor or grate them on a box grater on the side with the biggest holes. pour a couple of tablespoons of oil in a frying pan and fry the potatoes on medium high until golden brown. sea salt to taste. in a sauce pan, mix the almond milk, 1/8 tsp black salt and agar powder and heat until bubbly, reduce to simmer and let thicken. pour a thin layers of the mixture into drinking glasses or small bowls, and let chill in the refrigerator. Mix your "runny yolk" by wisking together vegenaise, water, 1/4 tsp black salt, nutritional yeast, and tumeric (until desired yellow color). *Note- It won't taste like eggs if you don't use black salt. You can get it at a fancy pants store. If you don't like eggs, just use regular sea salt and it will taste good, just not eggy. If you've never had black salt before, fix to get your mind blown, It tastes exactly like eggs. Recipe makes about 4 servings. Both of these dishes sound great. Perfect for this movie. I love the birds in a nest recipe. Holy moly, those look delicious. Not only is this one of my favorite movies but both of these dishes sound like just the kind of thing I love to grub on....creamy and comforting! 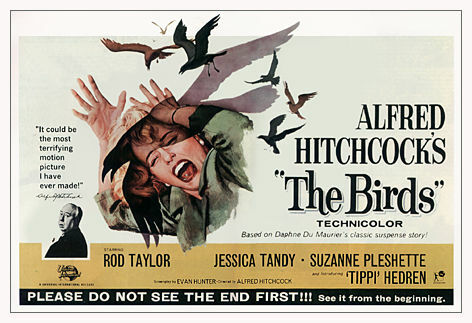 The Birds is one of my favorites too, my favorite Hitchcock with Vertigo coming in at a close second.